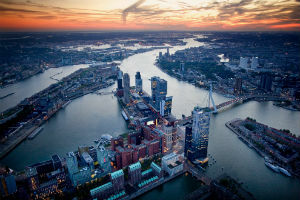 Ben Bensimhon, a player from Switzerland, took down the first-ever WSOP International Circuit Rotterdam Main Event after a spectacular run at the nine-handed final table. The tournament’s champion collected €94,349 and his first WSOP Circuit gold ring. 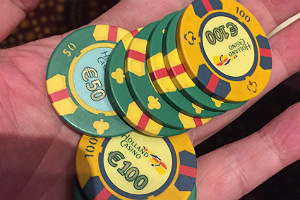 The €1,650 Main Event took place at Holland Casino Rotterdam from August 29-September 2 and was part of the inaugural WSOP International Circuit festival on Dutch soil. The Main Event attracted a field of 273 entries to create a prize pool of €368,473. The money was split among the top 30 finishers. Day 4 of the tournament kicked off at 2 pm on Saturday at the host venue. Bensimhon led the final pack of nine with a commanding chip advantage. Just as any other player at the final table, the eventual winner was eyeing the title. However, he was the one to strive most fiercely for it from the beginning of final-table play until the last hand was dealt. Entering the day as the chip leader and as the only player to have passed the one-million chip mark, Bensimhon immediately began extending his chip lead. The player’s path to victory included the elimination of six of his eight remaining opponents. He quickly eliminated two of the other finalists to accumulate more chips before him. After a period of relative quietness, this meaning that his fellow players were responsible for the next two eliminations, Bensimhon went on a scary run that saw two players leave in a very quick succession. Bart Lybaert, who was probably everyone’s most feared opponent at the final table, was eliminated in third place very shortly after. Lybaert was busted by Germany’s Jakob Miegel. Heads-up between Bensimhon and Miegel began with the eventual champion holding five times more chips than his final opponent. And the German proved to be a challenging opponent. He quickly managed to even the chips and to even take the lead at some point. Things even got to a point when Bensimhon barely escaped elimination, but a lucky Ace on the flop saved him. The Swiss managed to regain momentum just as quickly as he had lost it earlier during heads-up. He needed two hands to bring the chips back to his side. And then the moment of victory occurred. The final hand saw Miegel shoving pre-flop for his last 1.3 million and Bensimhon snap-calling. Miegel tabled [As][7h] and Bensimhon showed [Qc][Jc]. The board ran out [Kh][10c][4d][Jh][Ac], securing the Swiss with a straight and the victory. Miegel took home €58,308 for his efforts. Last night’s victory was Bensimhon’s best live poker accomplishment since the player began playing the game professionally four years ago. Aside from his endeavors on the felt, the 33-year-old from Switzerland is a country manager for online poker operator 888poker, which means that poker is deeply rooted in his everyday life.